 The Annual Orange City Tulip Festival Extravaganza was held Wednesday, march 15, at Prarie Winds Event Center. The event featured a luncheon and program during which the costumes for the 2017 Tulip Queen and Court were revealed and the 2017 parade marshals were introduced. 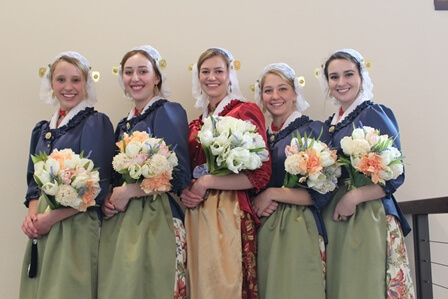 Members of the 2017 Tulip Court are Queen Karli Lang is the daughter of Chris and Sherry Lang; Emma De Jong, daughter of Douglas and Jamie De Jong; Olivia Duesenberg, daughter of Gary and Rachel Duesenberg; Sydnee Olson, daughter of Jody and Denene Nibbelink and Chad and Amanda Olson; and Noelle Sampson, daughter of Brent and Teresa Sampson. The costume this year is from the village of Hoorn which is located in the west Friesland region, in the province of North Holland. This costume is circa 1850. In 1850, Hoorn was a seaport village, known for its connection to, and wealth from, the East India Trading Company. The fact that rich sea merchants sought to parade their wealth is evident in the women’s expensive costume– at the time, the skirt would have been made from expensive floral chintz, the apron, and jacket made from a silk, which had probably been imported by the East India Trading company. In addition, the expensive laces on the hat, the red or coral colored gemstones, dangling from gold earrings and the hats, as well as the gold oorijizer all speak of the affluence that this village boasted. Queen Karli is wearing a dark red jacket with a peplum, and complimentary floral pattern of gold, greens, and dark red. Her apron is gold as well. The beaded purse, with the striking white beads atop the black velveteen, is a design that has been found in the Friesian area at this time period as well. The Court is wearing a lovely blue jacket, also with a peplum, and the skirt is a floral of greens, dark pink, and gold, on a cream background, with green aprons. The hats are also very interesting– on the crown, it is comprised of a black skull cap, followed by a lace overlay, and lastly, a layer of royal blue tulle. However, the most interesting part of the hat, in addition to the ornate gold oorijizer and hat pins, is the ruffle at the back. While it appears to be rolled on dowels, it is in fact given it’s rolled look by an intricate pleating technique. The 2017 Tulip Court also presented their traveling road show titled “Battle of the Tulips” for the first time. 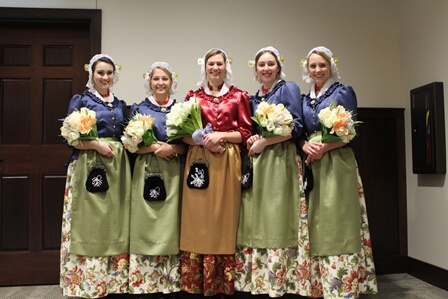 The road show, which the festival royalty wrote and will present to various organizations, schools, and residential care facilities this spring, tells of the events and attractions at Tulip Festival and gives a detailed overview of their Costumes from Hoorn.